Rimi was looking at the idol brought home by her dad last night. 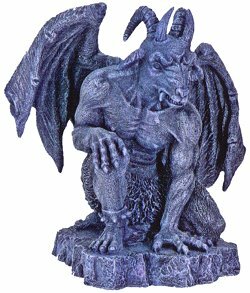 A strange scary idol, almost a foot long, made of bronze, it has an odd hypnotic effect. 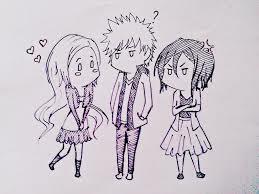 Rimi felt as she was staring at that, even the statue was also staring back at her. Why her father had to bring it home, she wondered. Sumit is running into lots of troubles lately. His settled business is going through a bad phase, market conditions aren’t helping as well. He is becoming an irritating fault finding husband which is the reason of his current marital discord. He is growing apart from his wife Namita, his 12 years old son Ajju is not keeping well for a long time now, and his 15 years old daughter Rimi, the situation of the house probably affected her most. Few days ago his friend told him about this Aghori, a powerful tantrik, seems like he has all the solution of any trouble. Sumit never believed in all these, but he was desperate. As he met him, he didn’t say anything to him but gave a bronze idol and went to back to his meditation. He felt like a fool but he brought that idol back home anyway. Rimi almost jumped up from her bed. She was sweating hard; her clothes are drenched in her sweat. What a nightmare! Yet felt so real. She grabbed the water bottle and drank till its empty and then checked the time, its 2 am in the morning. Rimi checked on her mother who’s fast asleep next to her. She has decided, as soon as its morning she will sneak out of house with that statue and throw it in the nearby river. Nobody has to know. Sumit was wide awake; it’s 2:05 am showing in his watch. He can’t believe he had a dream, a nightmare to be exact; oh it was a scary one. He hadn’t had a dream for years now but today. He saw he got up from bed and was heading to his sick son Ajju’s room. As he was walking towards his room, he could see his own shadow was changing, changing into some sort of ugly beasty like figure. Long nails, growing teeth and drooling mouth. And that statue, the bronze idol, it was alive and grown bigger, standing right in front of the room of Ajju. Sumit lay back to bed again. Tomorrow he will take Ajju to a good doctor; his fever is not coming down for weeks now. And he will return the idol back. His senses are telling him there’s something wrong with that ugly looking thing. He closed his eyes. Namita checked the clock, its 2:40 am. It’s time, she thought. She was unrecognizable now, she isn’t a human anymore. Rimi hardly could scream in pain and horror as Namita came down at her. Ajju was slowly walking at her father’s bedroom. As he was walking, with every step he was changing his human form. 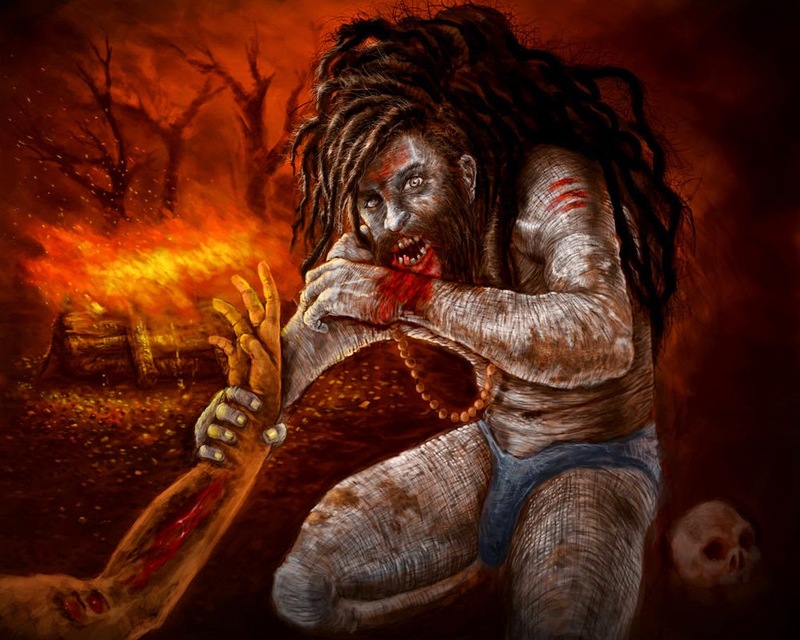 The Aghori was laughing madly in the cremation ground as few of the bodies were burning around. He needs 101 sacrifices to reach his goal, another 27 to go.